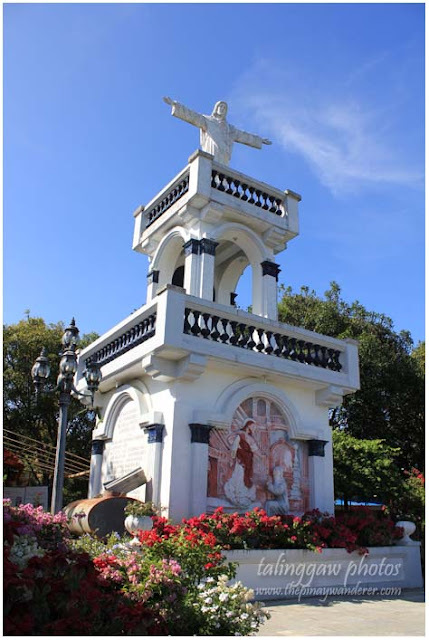 Our road trip to Marian Orchard/Hermitage of Our Mother was supposed to be my pre-Holy Week post but because of some weekend getaways (and laziness afterwards), I wasn't able to do so. 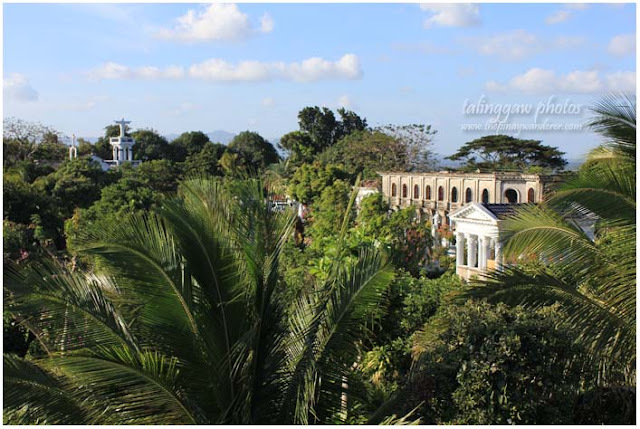 Anyway, I wasn't aware of these sites before, not until I saw/read Manong Unyol's post. 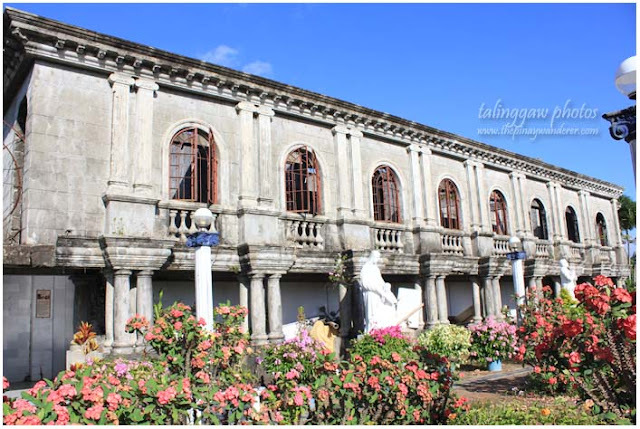 I got curious so when I went home (I am a Batangueña, by the way) one weekend, I decided to go on a side trip and check out these places. 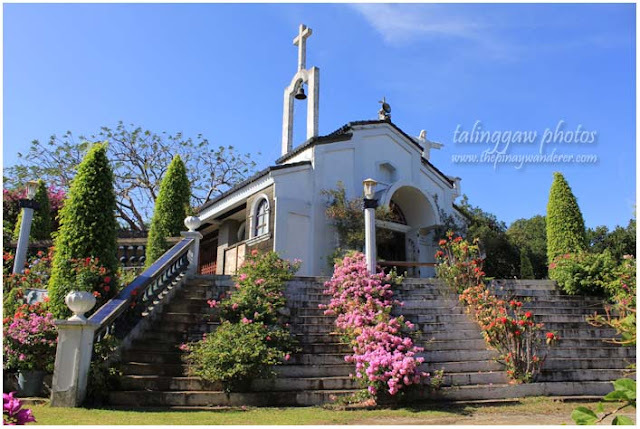 Though adjacently situated, Marian Orchard and Hermitage of our Mother are two different religious sites located in Barangay Malabanan in Balete, Batangas. 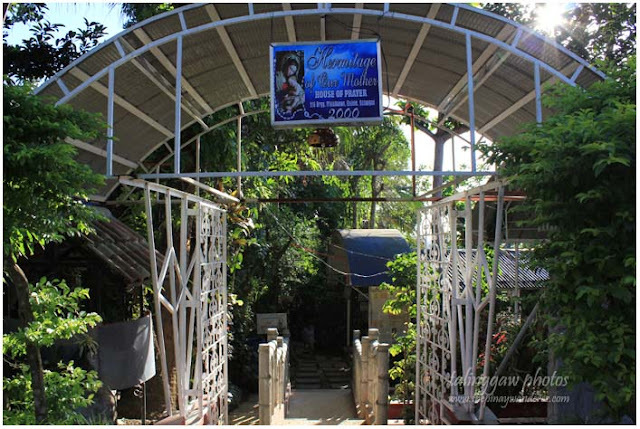 The first one a sort of legacy the owner built and shared to the public while the latter, a retreat site/prayer house (also open to the public) owned by a priest who is based in Laguna. 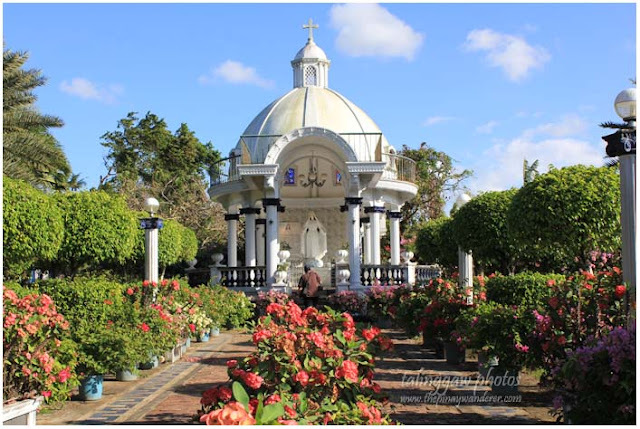 Both sites are conducive to prayer and meditation as well as some soul and self-searching; a place to go to during holy week, though most probably, it would be crowded during that season. 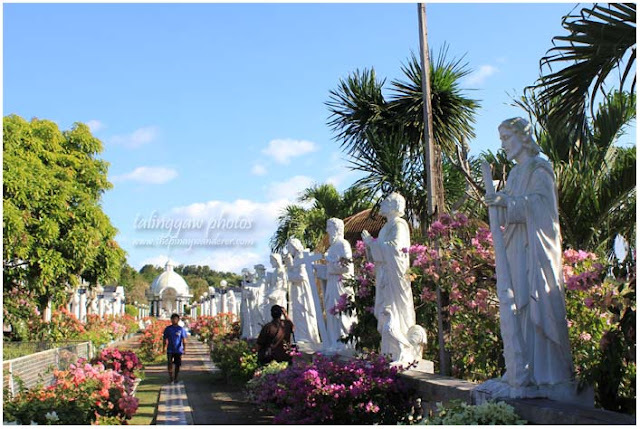 Marian Orchard is a Catholic-themed park built on a 5-hectare land surrounded with trees and plants of various kinds. 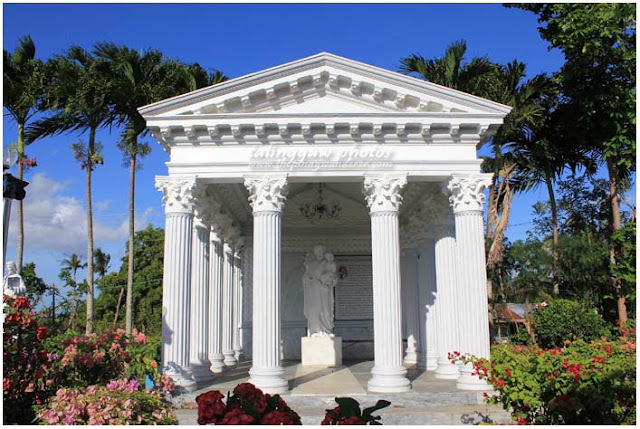 It features a prayer garden, a chapel, an observation tower, fountains and shrines of various saints. Near the prayer garden, it also has this small native hut where one could just sit and relax and breathe clean fresh air. 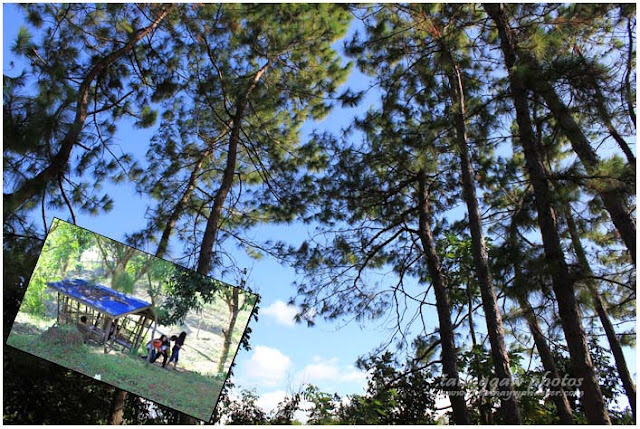 The towering pine trees and flowering (flower photos here) plants all around it add to the serenity of this place. 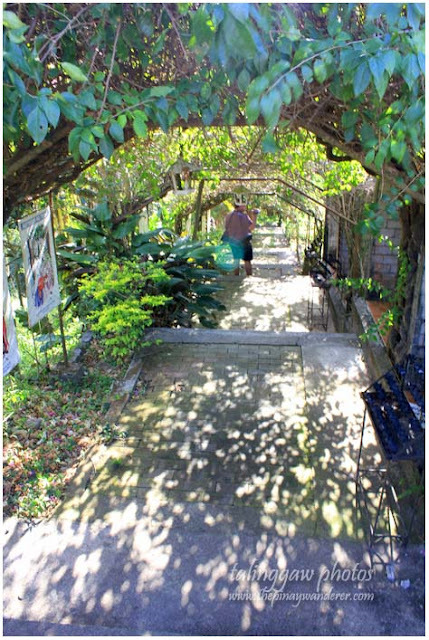 If you're a nature lover and loves to have a quiet and peaceful time away from the city, this may be a place for you to go. Here are some of the photos I took as I go around this park. My friend and I climbed this tower (The Sacred Heart Tower), it's a steep climb (almost a vertical ascent) and up on the third level, the wind blows hard, it felt like I would be blown away (even if I'm a heavyweight :P). 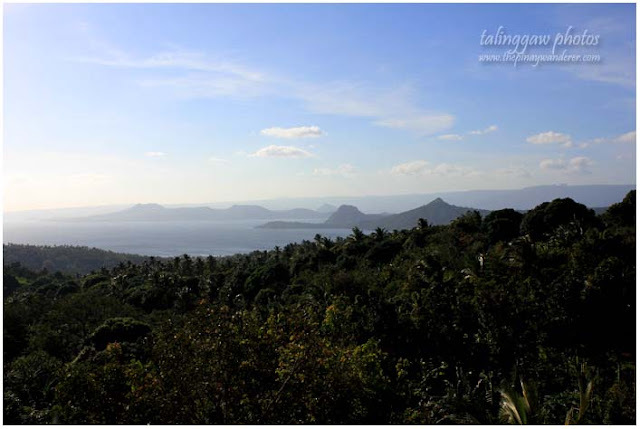 But the view at the top is magnificent, you can see Taal Lake/Volcano and its neighboring towns/barangays, worth the steep climb actually. 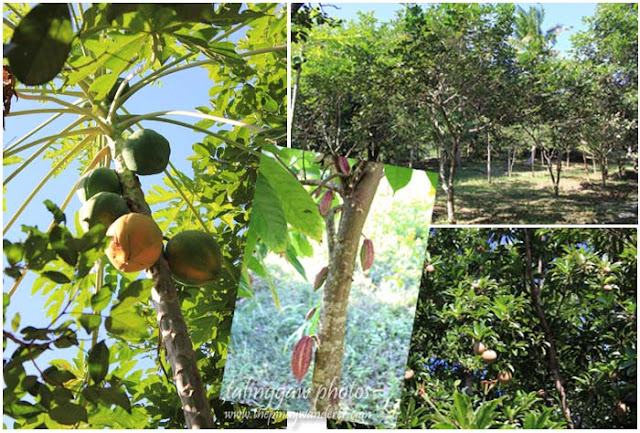 fruit-bearing trees/plants at Marian Orchard - papaya, cacao, rambutan, chico, etc. Pray in Silence! 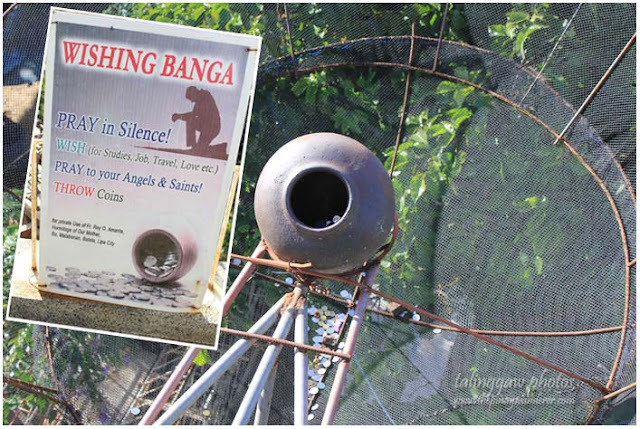 Then wish, pray, throw coins...the Wishing Banga! 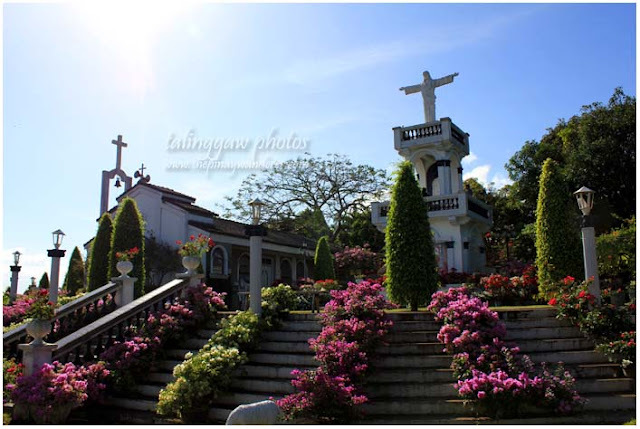 How to get to Marian Orchard/Hermitage of Our Mother? By Bus: Take a bus bound to Lemery/Batangas via Tanauan/Lipa (NOT CALABARZON) from any of the bus terminals located in the following: along EDSA near Cubao/Kamuning area (Alps or Jam bus lines); in Taft-Buendia (Jam bus line, forgot other bus lines with terminal here). 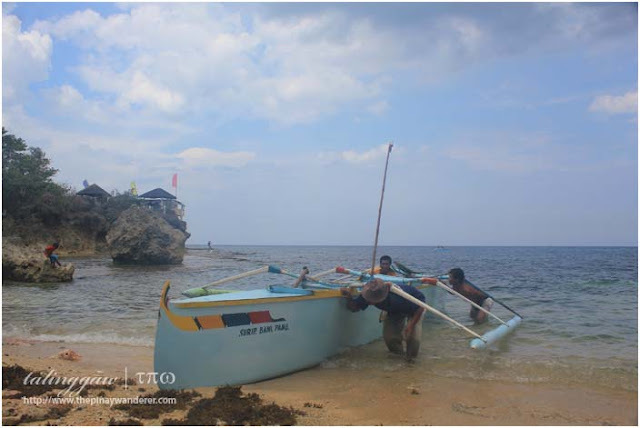 Tell the driver or the conductor to drop you off at Levitown, Marawoy (landmark: Caltex Gas Station) then take a tricycle going to Marian Orchard/Hermitage of Our Mother. By Car: Drive through South Luzon Expressway (SLEX) and on to Batangas Star Tollway. At the Star Toll Way, take Lipa-Tambo Exit, turn right and follow the road (J.P. Laurel Highway) going to Lipa/Tanauan then turn left at Lipa-Balete Road (landmark: Caltex Gas Station). 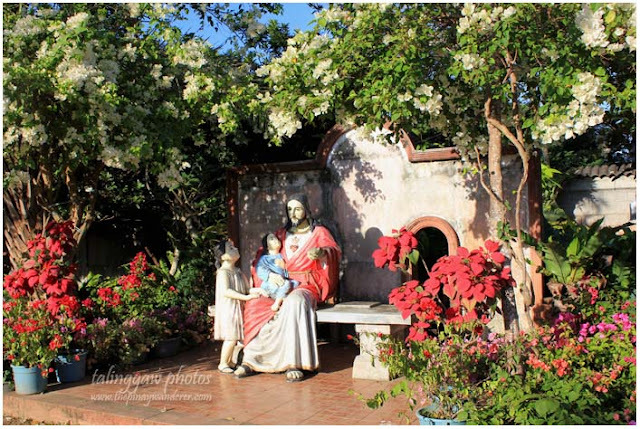 Marian Orchard/Hermitage of Our Mother is around 10-15 minutes drive from this junction. Talaga? di pa ko nakapunta ng Caleruega eh...hehe. Very nice place! 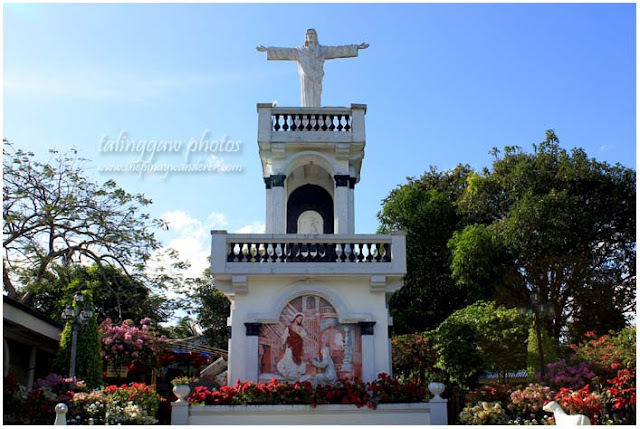 Reminds me of Kamay ni Hesus. Syempre masyado akong interasado sa mga places na to! hi Balut! ganda talaga ng place sis, sariwa ang hangin, daming puno, sarap magpalipas lang ng oras. kung sana lang meron ako nito, tanggal ang stress..hehe! Oh, wow! 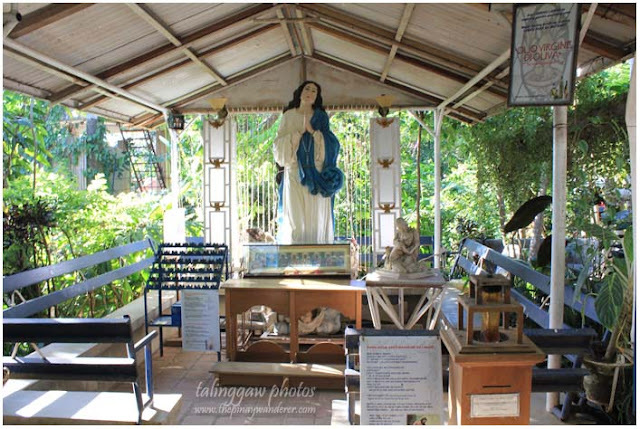 A Catholic-themed park! Gusto ko yan mapuntahan! Ililista ko na yan sa iti ko hehe. Thanks for sharing. Nice post. Ngayon ko lang narinig Marian Orchard. 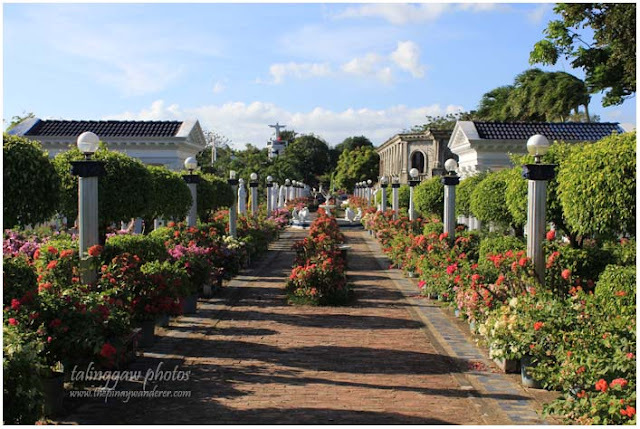 Mukhang perfect place pang Visita Iglesia. Dami talaga maganda puntahan sa Batangas. open ba ito kahit anung araw? Hi po..taga carmona cavite po ako at ndi ko po alm kng pno mkpnta jan..my terminal po sa alabang at nasearch ko po n my bus pbatangas dun kya lng po sn po ba lemery po b o lipa?d qu po sure kng sn s batangas destination ng bus dun s alabang..pkitulungan nmn po ako..gusto qu po tlga pmnta jan..thanks po ng mrmi.. I think open sya everyday at may mass kapag Sunday, not sure kung ganon pa rin hanggang ngayon. Every First Friday may Mass din po. Mass is only in the afternoon, 4PM. Hi JC, ok lang na ginamit nyo as source ang blog ko, just mention my website and the blog url as an acknowledgment, that would be enough for me. Re questions, pwede mo i-send sa email and I'll try to respond as soon as I can. Check the contact page for my email address. pnta ka SM LIPA,dun ung bus terminal.andun ung mga biyahe pabalik ng manila. Thank you for your comment Hleecita. We will do something for this concern. Pwede po ba malaman kung anong oras ng open nila. Hi.may I know kung anong oras ang open nila.. Were open at 7am to 7pm but gate closed for new visitor at 5pm. Hi Sir.. ask ko lang po mass schedule sa Marian... Thanks po..
Every first Friday, Every Saturdays & Sundays @ 4PM. Hi. Bukas po b kyo ng sunday? Ano po ba ang sasakyan papnta jn? Kmi ay mng ggaling ng balagtas. sakay ka ng jeep pa-tanauan, sabihin mo ibaba ka sa papuntang balete, landmark mo ay caltex station, tas sakay ka ng tricycle papunta marian. what time po mass nyo every Saturday and sunday? madali lang po ba makasakay pabalik ng lipa?pag galing n po ng marians orchard? Paano po mag commute if galing akong Calamba, Laguna. Thanks. NOTE: Queries are welcome BUT please, kindly READ THE POST FIRST before posting your queries. 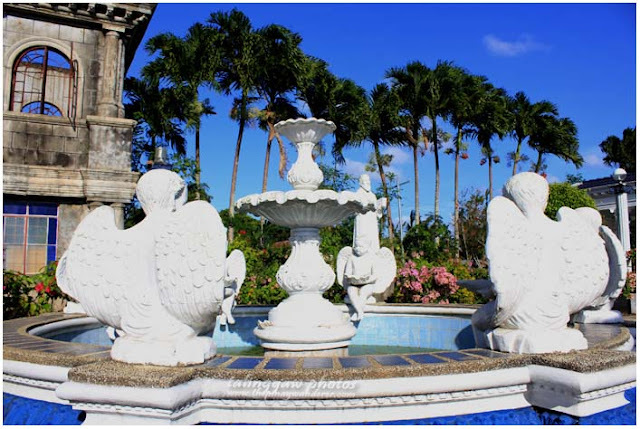 Pangasinan | Bani: Surip Coral Beach and its "Baby Pools"